Like FINRA, SEC also plans to scrutinize IRA rollovers this year. The Securities and Exchange Commission today announced its examination priorities for 2014, which include advisors who have never been examined, including new private fund advisors; wrap fee programs; quantitative trading models; and payments by advisors and funds to entities that distribute mutual funds. As for broker-dealers, the securities regulator says it will zero in on sales practices and fraud, issues related to the fixed income market, and trading issues, including compliance with the new market access rule. Like the Financial Industry Regulatory Authority, the SEC will also focus on advisor and broker-dealer IRA rollover activity this year. Yet another area of focus will be dually registered advisors. OCIE chief Bowden said in October that the agency would take aim at the group of about 4,000 RIAs that have never been examined before. Bowden says in the priority letter that the SEC will use “presence exams,” a 2012 initiative to examine a significant percentage of the advisors registered since the effective date of Section 402 of the Dodd-Frank Act. The five key focus areas of these presence exams will be marketing, portfolio management, conflicts of interest, safety of client assets and valuation. The vast majority of these new registrants are advisors to hedge funds and private equity funds that were not registered or regulated by the SEC prior to the Dodd-Frank Act, and have never been examined by the SEC. The letter says that staff will also continue to prioritize examinations of private fund advisors where the staff’s analytics indicate higher risks to investors, or where there are indicia of fraud, broker-dealer status concerns, or other serious wrongdoing. Duane Thompson, senior policy analyst at fi360, told ThinkAdvisor in a recent interview that he doubts the agency can do much more on the exam front. If the agency focuses “on the vast majority of advisors, the ones where the average is eight to 10 employees who mainly [do] passive investing, with no exotic [activities] where it won’t take as long to go through the books and records, they could bump up their [exam] numbers,” he concedes. But, adds Thompson: “Unless Congress gives the [agency] more money or a bill passes” to allow the SEC to collect user fees to fund advisor exams, “I don’t see how the [agency] can increase” the number of exams. 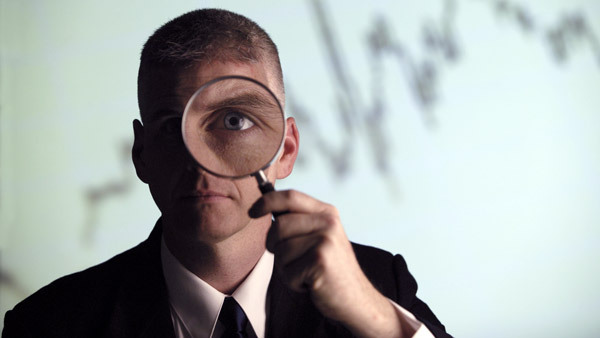 Check out IRA Rollovers Among Hot Areas for FINRA Scrutiny in 2014 on ThinkAdvisor.